A.K.A. Jessica Jones won’t be premiering for quite some time, but the series is slowly building up its cast. Krysten Ritter will be playing Jessica Jones, Mike Colter has been cast as Luke Cage and former Doctor Who lead David Tennant scored the role of Kilgrave, better known in the comics as the Purple Man, earlier this week. Now the Netflix series has found its next cast member in Transformers actress Rachael Taylor, who will be playing Patricia “Trish” Walker, Jessica Jones’ closest friend. Marvel describes Trish as a former model and child TV star who now hosts her own syndicated radio show under the name “Patsy” Walker. The announcement also says that Trish will help Jessica “embark on the most dangerous journey” of her career. A.K.A. Jessica Jones will follow the titular character as a private investigator following a failed, short-lived stint as a superhero, and her new line of work will have her dealing with people with special abilities around New York City. Taylor’s recent work includes starring roles in short-lived series 666 Park Avenue, as well as Charlie’s Angels and Crisis, which also had short runs. This isn’t Taylor’s first Marvel role, having previously appeared in the 2005 film Man-Thing. Patricia Walker first appeared in 1944, and for several decades she was the lead character of several romantic comic books. It wasn’t until February 1976 that she became the superhero Hellcat, asking X-Man and Avenger Beast for help with coming up with her own costumed identity. Although she has temporarily gained superpowers on several occasions, she is primarily a talented martial artist, and has been a member of the Avengers and the Defenders. 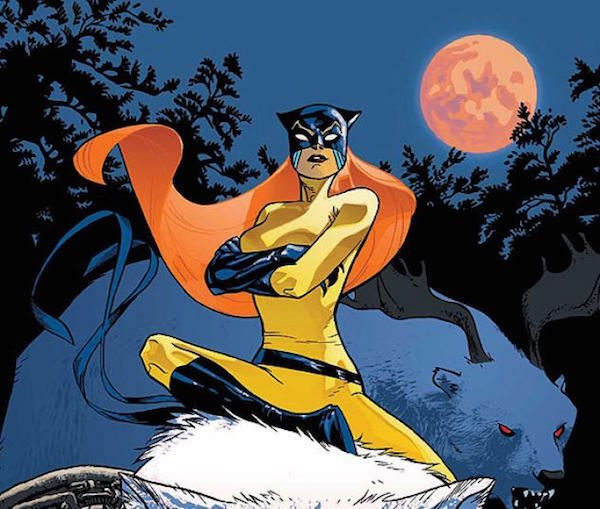 The press release doesn’t hint at Trish becoming a superhero, but since Netflix is also releasing a Defenders miniseries that will team Daredevil, Jessica Jones, Iron Fist and Luke Cage together, perhaps we may get to see her become the MCU’s Hellcat. Just because the stars of these shows will be the main heroes doesn’t mean that other heroes can’t join in the fun. If not, at least she gets to provide emotional support for Jessica while she’s off fighting crime. That’s helpful in its own way. Expect A.K.A. Jessica Jones to air 13 episodes on Netflix in late 2015 or early 2016.